As much as I wanted to put up my Christmas tree the first week of November, I patiently waited until this week to start decorating. 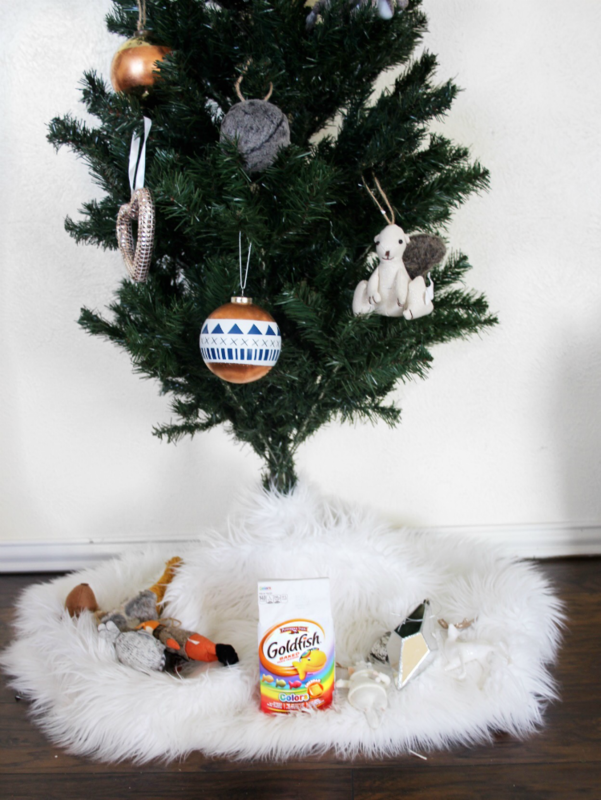 Every year putting up our holiday decor is always special. We do it as a family. We blast Christmas music. We have fun and try to soak up every minute of this holiday season. Evan just turned five and the holidays just seem more fun as he gets older. This year I really want to enjoy December. Every year it seems like we have so much going on we forget to take it slow and enjoy the little things. 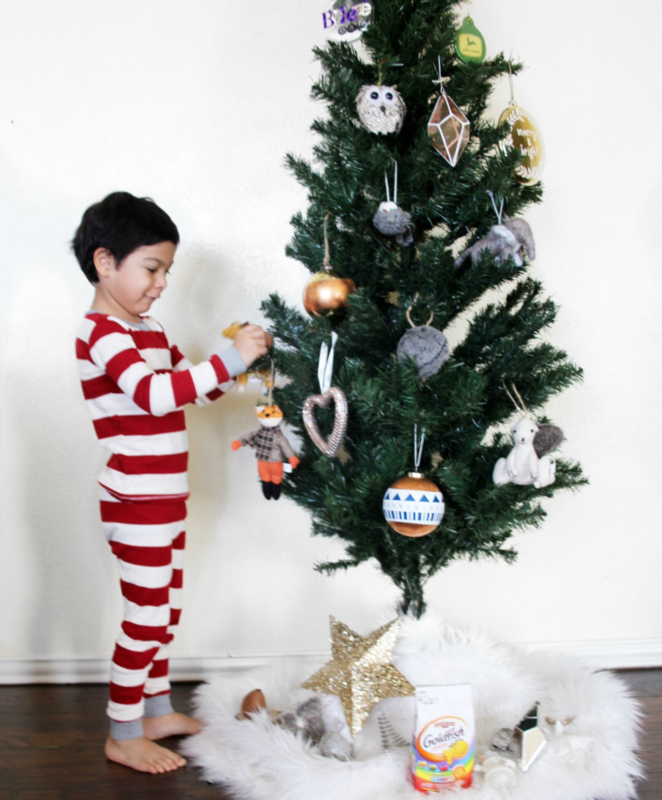 Decorating our Christmas tree was so much fun. 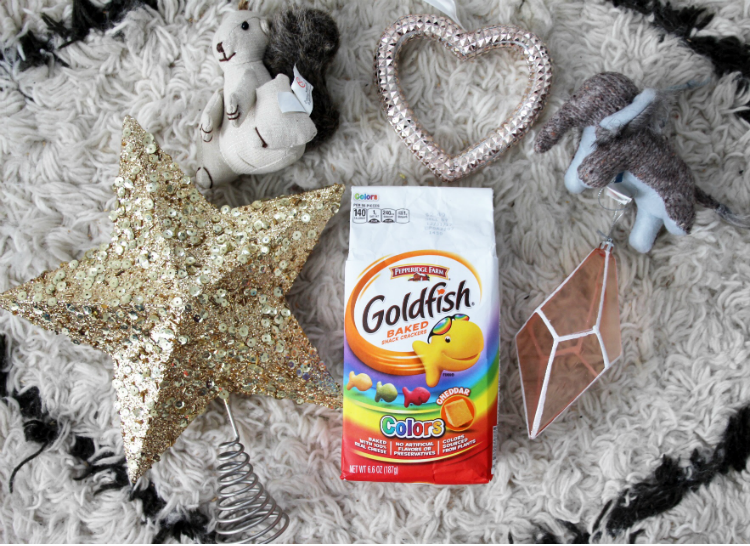 This year we incorporated Goldfish Crackers to our family holiday decorating tradition. 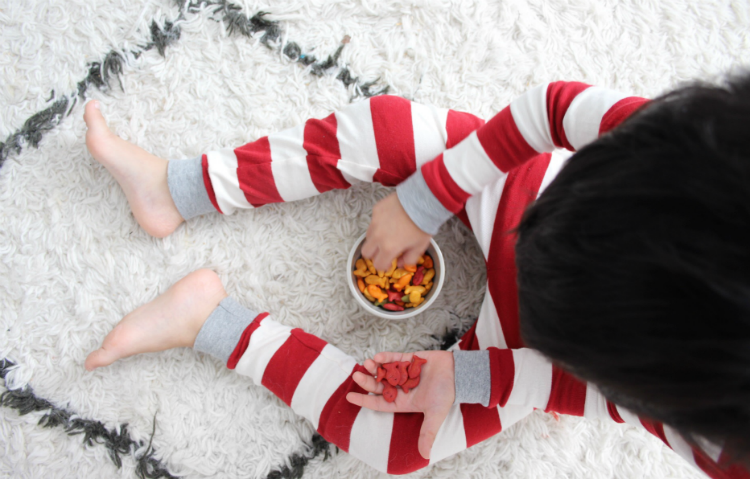 Goldfish Crackers reminded us to enjoy the moment. 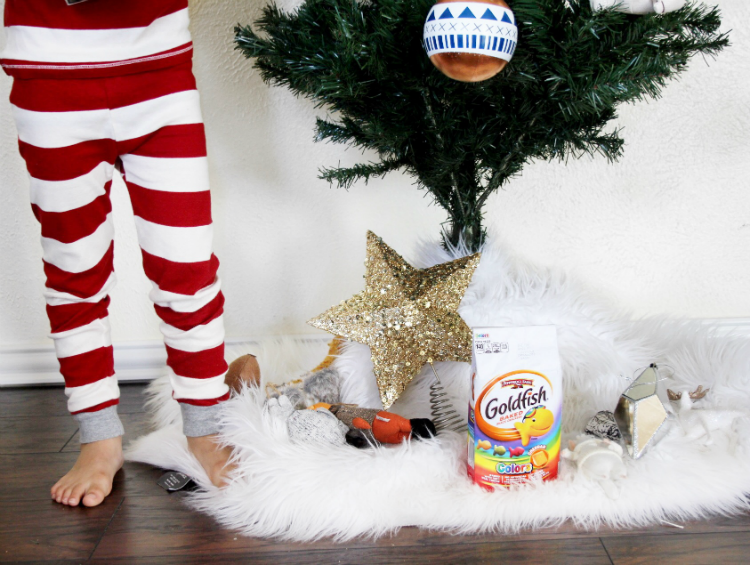 Watching Evan put ornaments on the Christmas tree and take a break to enjoy his Goldfish was priceless.